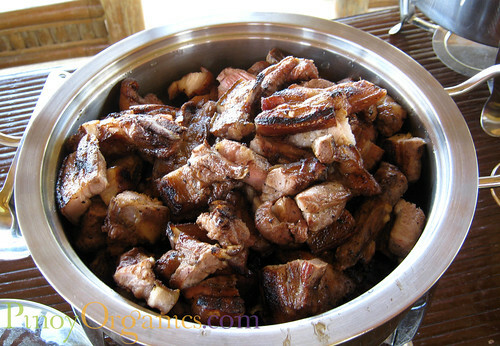 One of our pioneer partner-farms in Pinoy Organics is Costales Nature Farms. It is situated just below the foot of Mount Banahaw, Brgy. Gagalot, Majayjay, Laguna. Telco executive-turned-farmer Ronald Costales and his wife Josie personally toured us in their much smaller family farm when we visited in April 2010. Since then, we have worked together in several projects promoting organics. Ronald was awarded as “Organic Farmer of the Year” by the Department of Agriculture during the recently held National Organic Agriculture Congress (NOAC) in Cebu. Currently, Josie is the Treasurer and one of our co-Board of Trustees in Organic Producers and Traders Association of the Philippines (OPTA Philippines). Today, this couple has successfully grown their business to a commercial scale, integrated and sustainable organic farm that supplies top hotels, restaurants and organic grocers. They are the first and only partner farmers of Healthy Options Organic Local Farm which was launched yesterday. 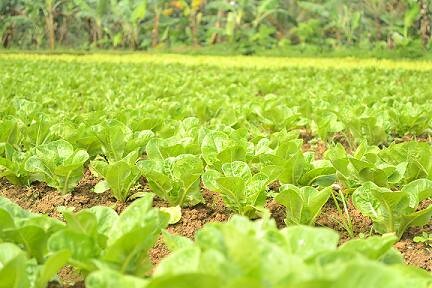 The farm is certified organic by NICERT and has a land area of five (5) hectares. 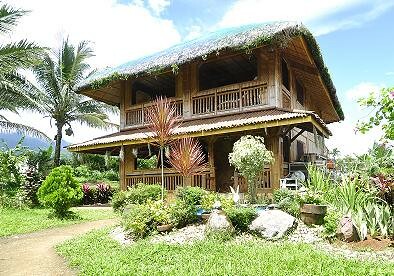 It is the first Agritourism destination in the Philippines accredited by Department of Tourism. 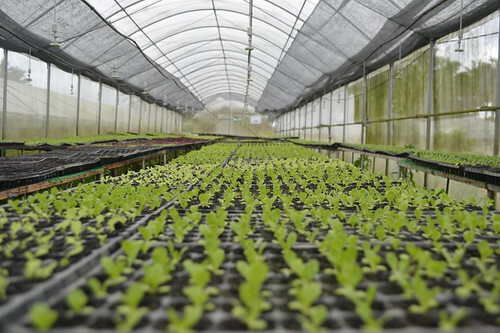 The farming practices are based on the Japanese Farming Systems and Korean Natural Farming wherein micro organisms play a vital role not only in enriching the soil but also in the production of vegetables, fruits, fish, poultry and livestock. 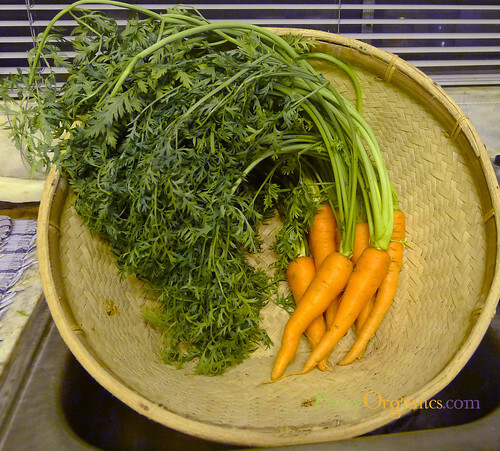 Costales Nature Farms‘ mission is for Filipinos to “experience the freshness of nature”. This Sunday, January 27th, experience nature and farm life as they hold their 1st Harvest Festival. Yes, harvest all you can! Pick your own organic veggies, herbs and spices, free range poultry and eggs and organic pork at farm gate prices. 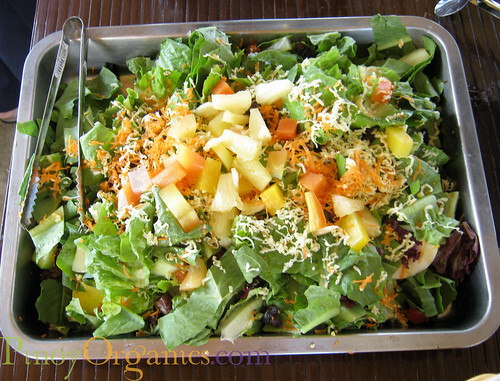 Dine at the farm and enjoy all natural, ready to eat organic salad and organic dishes. 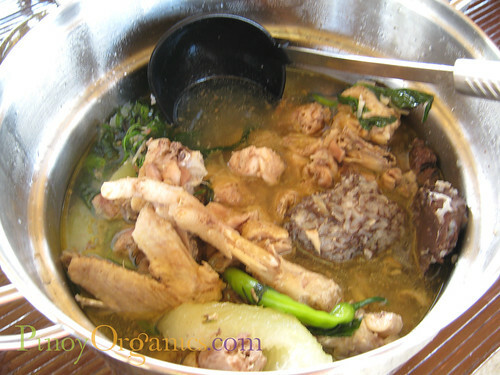 Feast on the freshly butchered poultry and pork, live tilapia fish and catfish ‘hito’ from the pond and cooked without artificial ingredients. There will be guided farm tours, lectures and demonstrations. 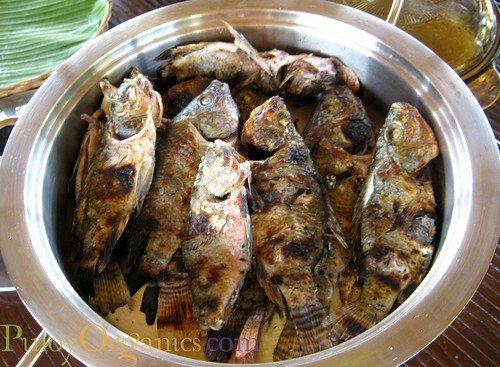 Grilled Tilapia – Literally from farm-to-plate! You can also opt to visit Majayjay Falls, a tourist’s destination which is located near the farm. Experience all these activities with your family and friends at the farm. The once-in-a-lifetime experience is worth the trip. The entrance fee to the event is FREE. Have you tried picking your own salad veggies or catching a live fish?